Not all preservation battles are successful. This award honors a valiant effort on behalf of historic preservation that did not have positive results, but succeeded in securing a commitment to preservation in the community. 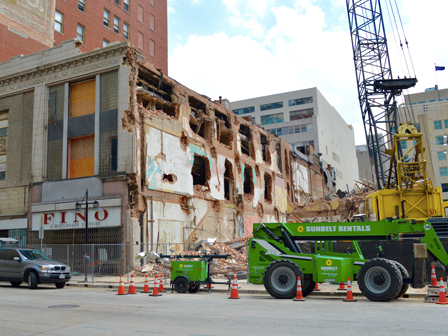 While the demolition of the four buildings in downtown Dallas was a tragic loss it also galvanized the public and the City into not accepting that this needs to happen in the future. The Task Force worked extremely hard in developing balanced recommendations to better protect historic buildings that would not impede on new development.